If you want to buy a Keyser High School yearbook or sell your Keyser yearbook, this is the place to do it. Just make a post below to find another person who went to school in Keyser to make the trade. For former Keyser HS students from WV, you can view the class reunion information that has been posted by other site visitors. In addition, we encourage you to post your profile in the alumni directory, share information about the school activities you were involved with and reconnect with Keyser High School alumni. Am in need of yearbook for research for class reunion. I've lost my Senior yearbook of 1970, would like to have another one. 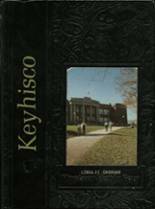 i am looking for a 1965 khs yearbook. email me at *****@verizon.net. thanks a bunch.